How might we engage California residents in the voting process? Only 28% of eligible voters participated in San Francisco’s 2015 election revealing a lack of commitment from citizens to vote. 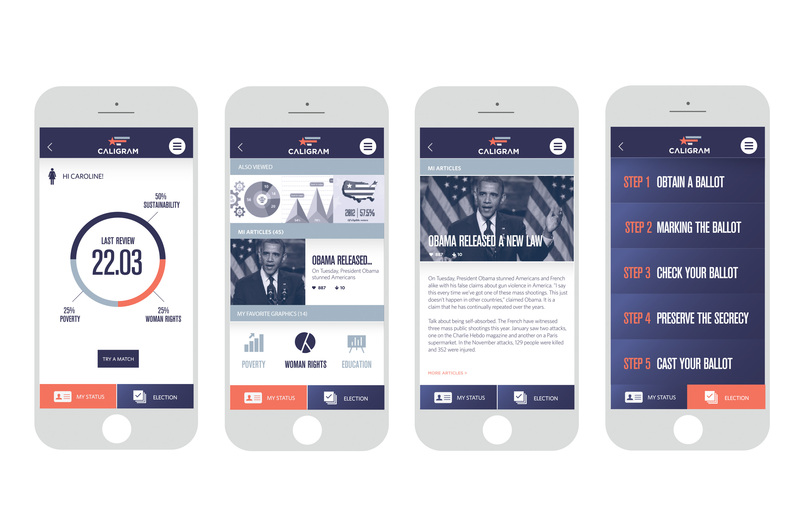 We worked on creating a solution that can engage them by focusing on voters’ needs. Starting by identifying our target audience, we could narrow it down and use tools such as interviews, street intercepts and observational research to gather insights about them. After getting a deep understanding of our disillusioned voters, we synthesize our data and developed a value map that could fit our customer’s needs to finally have our value proposition designed. 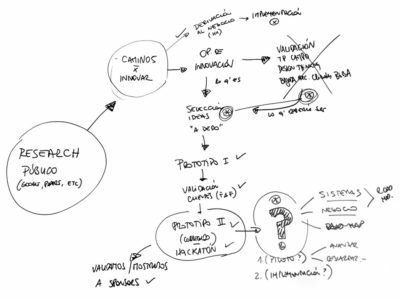 Following this, we drafted some napkin sketches, which allowed us to ideate and consider opportunities in a tangible and sharable way. After testing our ideas with users through different prototypes we could identify advantages and disadvantages and finally define our best solution. Since the lack of time and access to unbiased information as well as a needed sense of community were some of the key pain points to address, we created a double-sided platform called Caligram. 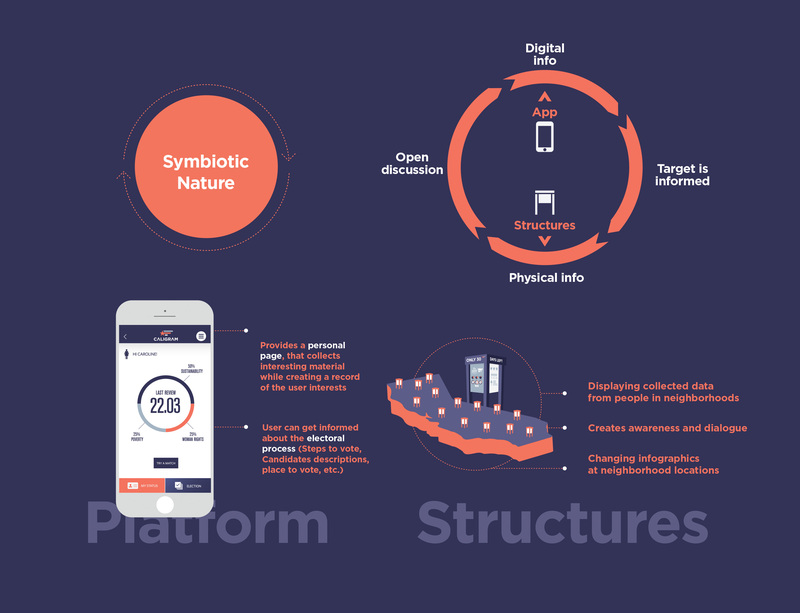 Constituted by a digital platform and several physical structures located in different neighborhoods, the solution help users to constantly get information about the voting process as well as their neighborhood’s status. This symbiotic nature allows neighbors to interact at any time while creating a sense of community. © Copyright by Candelaria Ochoa.